Taro Chiezo’s painting emerged along with Takashi Murakami and Yoshitomo Nara in Tokyo Pop, which paints from appropriate popular images of contemporary Japanese Anime and Manga cartoons. 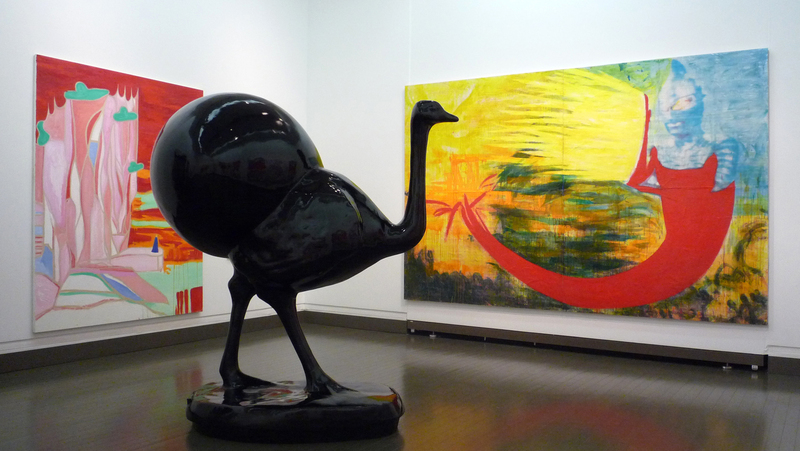 This has heavily influenced a younger generation of artists. 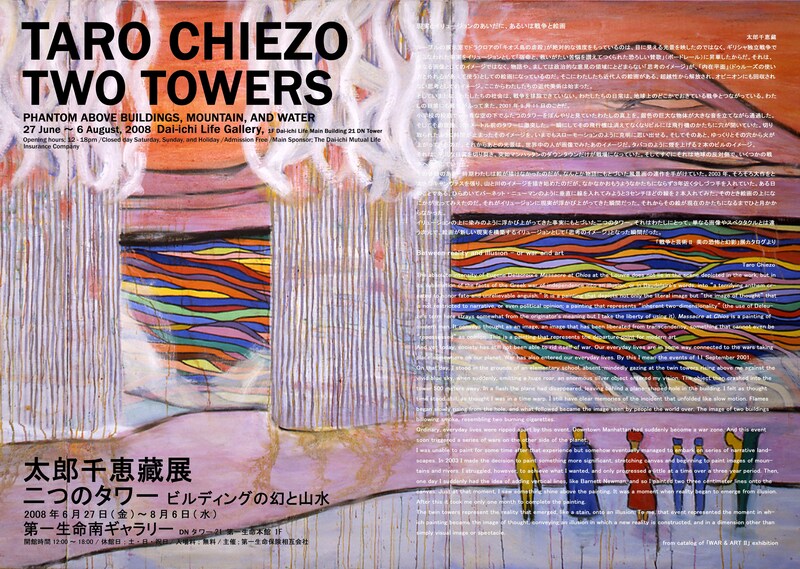 Entitled Two Towers - Phantom above Buildings, Mountain, and Water, the current show’s new body of work furthers the artist's interest in figuring historical and mythological narratives within the imagery and iconography of popular culture and American abstract paintings, and of traditional oriental Sansui landscape paintings such as Sesshu and Hiroshige. Chiezo witnessed the moment of the first 911 plane crash from a distance of 500 meters. 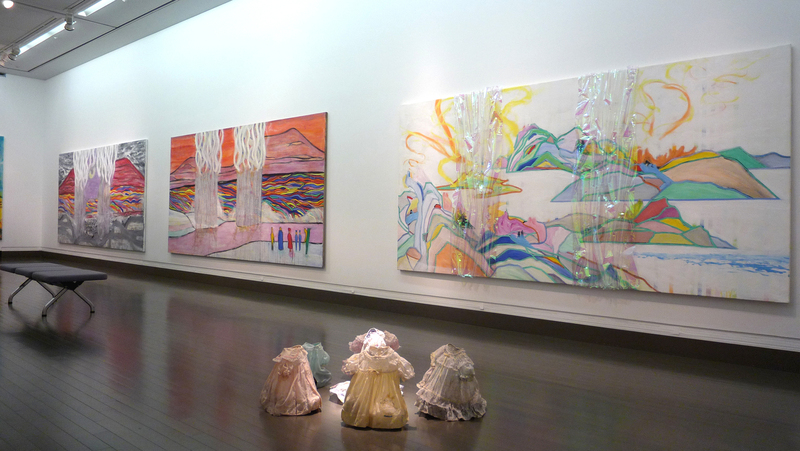 From that experience, Chiezo spent six years in finishing a large scale painting Sumidagawa after Motomasa and or/ WTC 2003-6, struggling with what art can do in the age of anxiety caused by disaster, climate change and continuous wars, a question to which economics and politics do not have an answer. Additionally, Principle of Economy 1996, the large scale painting Chiezo made for Tomio Koyama Gallery's opening exhibition, will be shown in this exhibition. Taro Chiezo's exhibitions continue in the selection of his 90’s paintings from the Okada collection: Magical Museum Tour Room 5: Taro Chiezo Posthuman Artist at Tokyo Wander Site Hongo, August 2 to September 21.